The Department of Correctional Services briefed the Justice and Correctional Services Portfolio Committee on the South African parole system and the new approach towards short term offenders. The Department said parole was an internationally accepted principle which was used in most countries to conditionally release offenders into the community before expiration of sentence. The aim of placing an offender on parole was to acknowledge the offenders’ compliance with the sentence plan in order to promote the rehabilitation of offenders and minimise the offender’s risk of re-offending. To minimise the risk of re-offending, offenders were gradually reintegrated into communities. Parole placement was done following procedures stipulated in legislation, particularly the Criminal Procedure Act. The final decision whether to place an offender on parole or not was done by the Correctional Supervision Parole Board. The Department said offenders could also apply for medical parole. Similarly, an offender applying for medical parole also had to follow procedures and fulfil conditions stipulated in the Act for medical parole. A decision to grant parole was based on the recommendations made by the Medical Parole Advisory Board. Parole Boards served several functions, but the main function was the responsible consideration and approval or disapproval of the placement of offenders under correctional supervision, day parole, parole and medical parole. If parole was approved, the Parole Board had to set conditions of parole for the offender. Parole Boards could also grant special remission of sentence to offenders for meritorious conduct. The Department said there were different crime categories, such as aggressive, economic, narcotics and sexual crimes. The most common crimes fell in the economic category, with the highest number of cases being recorded in the Western Cape. Most short term offenders were sentenced for economic crimes and received sentences of up to six months, so it was difficult to render parole placement services to them because they did not spend sufficient time incarcerated to be exposed to the services and programmes currently rendered to offenders. The Department had several options for the management of short term offenders. The options were the conversion of sentences to community correctional supervision, or the release on parole and transfers between correctional centres. Instead of issuing custodial sentences, short term offenders could also be monitored electronically. The Department could also enhance community correctional supervision to better use appropriate sentences for less serious crimes. It could timeously place cases for consideration for parole before Correctional Supervision Parole Boards. The Department planned to develop programmes, services and instruments, as well as review its human resource needs. A financial programme would be developed and an interdepartmental task team would be established to resolve the challenges facing short term offenders. The DCS had embarked on several reintegration systems with various purposes. The first intervention had been the launch of a halfway house in February 2012. The purpose of the programme was to assist in the reintegration of offenders, particularly parolees, and probationers without addresses which could be monitored, or without support systems. Since the pilot for halfway houses, six halfway houses had been established through partnerships with non-profit organisations in the Western Cape and Gauteng. Parolees had been reintegrated with their families, and some had been able to find employment. The DCS had entered into partnerships with relevant stakeholders to enhance the employability of offenders and to reduce re-offending. The Department was also using Restorative Justice, which had been adopted since 2001 to reintegrate offenders. Restorative Justice was a process which allowed a platform for forgiveness between the offender and the victim. Progress had been made with the Restorative Justice intervention, although the involvement of victims had been a challenge throughout the years mostly because the whereabouts of victims were unknown to the Department, and those who were known were often not willing to take part. Members wanted the Medical Parole Advisory Boards to include traditional health practitioners. They were also interested to know why the courts had had to be used for the Schabir Shaik and Clive Derby-Lewis medical parole applications. The Department was commended for using Restorative Justice as a reintegration system of offenders. Mr James Smalberger, Chief Deputy Commissioner: Incarceration and Corrections, Department of Correctional Services (DCS), said the purpose of the presentation was to brief the Committee on the South African parole system and the new approach towards short term offenders. He defined parole as an internationally accepted principle which was applied in most countries, for the conditional release of offenders from correctional centres into the community. Parole was a placement option for offenders from correctional centres into the community corrections systems. Offenders were released from correctional centres prior to the expiry of their sentence of imprisonment to serve the remainder of the sentence outside of correctional centres, subject to supervision and other specific conditions. He added that parole was always on condition of good behaviour. The purpose of parole was to acknowledge offenders’ compliance with the sentence plan in order to promote the rehabilitation of offenders. It was also to combat the probability of re-offending by ensuring that the offender was not just pulled out of the correctional services, by gradually integrating the offender back into the community under controlled circumstances. Parole served as an instrument of continued rehabilitation in the community. Furthermore, it provided an opportunity for communities to accept their social responsibility in the rehabilitation process of offenders. Mr Smalberger looked at the sentence type and crime category for 2013/14. Economic crimes were the most common for the zero to three years category. Of the offenders serving sentences of zero to six months, nearly 2 000 were serving a jail term for economic crimes, which was the most frequent crime, followed by offenders serving a jail term for narcotics. For a sentence of six to 12 months, 1 568 offenders were serving a sentence for economic crimes, 731 were serving for aggressive crimes, 350 for narcotics, 57 for sexual offences, and 526 for other offences. Under the 12 to 24 months sentence type, 673 offenders were serving a sentence for aggressive crimes, 1 427 for economic crimes, 194 for narcotics, 590 for other crimes and 60 for sexual crimes. There were 541 offenders serving a sentence for aggressive crimes in 2013/14 for a 24 months sentence type. Under the same type of sentence 1 293 were serving a sentence for economic crimes, 90 for narcotics, 199 for other crimes and 55 for sexual crimes. There were more (2 365) offenders serving a sentence of two to three years for aggressive crimes in 2013/14 as well as more (5 355) serving a sentence for economic crimes. The data showed that economic crimes and aggressive crimes were the highest crime categories. On average, there were more offenders serving a sentence of five years or less, but quite a significant number of offenders were serving a life sentence. Legislation made provision for all sentenced offenders to be considered for possible parole placement after they had served a specified minimum period of detention. This was an automatic process. Six months before an offender completed the minimum sentence, the Case Management Committee (CMC) started a parole placement process. An assessment was made within six hours of admission into the parole placement process and again after 21 days, to classify the offender. After classification, the CMC profiled the offender and entered the offender into Correctional Supervision Parole (CSP). The CMC then approved the CSP and introduced the offender to intervention services. Once the process had been completed, the CMC made parole recommendations to the Correctional Supervision and Parole Board (CSPB). The CSPB then made a decision to approve or disapprove parole placement. If approved, the offender was placed on parole and if parole was denied, the CSPB also provided reasons why parole had been denied. The CSPB had been established as per section 74 of the Correctional Services Act 111 of 1998. 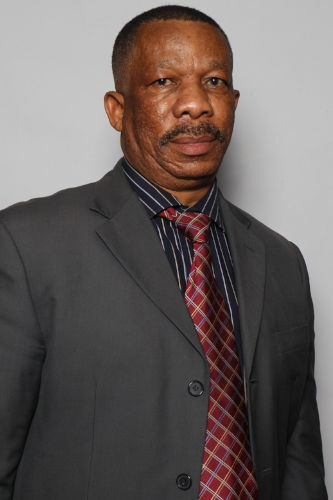 It was composed of a chairperson who was a community member, a vice-chairperson, also a community member, a DCS representative who served as secretary, two part-time community members and a co-option from the South African Police Service (SAPS) or a representative from the Department of Justice. The required quorum for the CSPB was three members. Parole Boards served several functions and the main primary task was the responsible consideration and approval or disapproval of the placement of offenders under correctional supervision, day parole, parole and medical parole. If parole was approved, the Parole Board had to prescribe conditions for the offender. Another function of the Parole Board was the granting of special remission of sentence to offenders for meritorious conduct. In addition, Parole Boards served the function of making recommendations to the Minister and court regarding offenders sentenced to life imprisonment and those declared as dangerous criminals. Parole Boards used a legal mandate promulgated on 1 October 2004 when determining minimum detention periods. However, the minimum detention period for offenders sentenced prior to 1 October 2004 was still determined by legislation that was applicable before that date. The change in legislation affected dangerous criminals under section 286A of the Criminal Procedure Act (CPA) where an offender could be considered for parole after serving 25 years without a referral to the court. The change in legislation had impacted on the determination of sentence whereby prior to promulgation, if serving a sentence of 24 months or less, an offender could be considered for parole after serving a third of service after the allocation of maximum credits. After 2004, an offender could be considered for parole after serving a quarter of the sentence as per section 73 (6) (a) of Act 111 of 1998. For a sentence of more than 24 months, the offender had to serve at least a third of the sentence before he or she could be considered for parole, prior to 1 October 2004. Offenders sentenced after then had to serve half of the sentence as specified by the court, or 25 years of the sentence. Offenders older than 65 years of age should be considered for parole if the offender had completed 15 years of the sentence. The change in legislation did not affect the minimum detention period of habitual criminals, as offenders could be considered for parole only after having served at least seven years of sentence. Offenders on life sentences were considered for parole after serving 25 years. Before the legislation had been changed, offenders serving life sentences could be considered for parole after serving 13 years and four months. Offenders also had to be allocated maximum credits, as per the Van Wyk judgment. Mr Smalberger gave an example of how an offender sentenced on 30 March 2014 for theft could be placed on parole placement. If the offender was sentenced to three years imprisonment, several factors would be taken into consideration. For instance, the CSPB would consider if the person was a first time offender, or if the person was involved in all relevant developmental and rehabilitation programmes, had no disciplinary offences, a record of good behaviour and a positive support system. The person may only be placed on parole placement after serving half of the sentence. Therefore, the offender would be placed on parole placement on any date after 29 September 2015. Not all offenders would be placed on parole placement as per legislation provisions, because in some instances a court may determine a non-parole period. However, the period should not exceed two-thirds of a sentence. Support systems for all offenders placed on parole placement were verified, and had to be confirmed positive in order for the placement. The consideration process for parole placement was initiated six months prior to an offender reaching the minimum detention period. The CMC should compile a parole profile report and make a motivated recommendation to the Parole Board. Once a recommendation had been made, the Parole Board should take a decision and inform all relevant parties of its decision. If parole was not approved, reasons for denying parole should be indicated, as well as any further intervention required. If parole was approved, offenders would be subjected to a pre-release programme. On placement, the offender was handed over to Community Corrections, where admission into the system was monitored to ensure compliance with set conditions. The CSPB considered profile reports compiled by the CMC, representation of the complainant or victim, a report by SAPS or the Department of Justice (DoJ), as well as representation of the offender when considering parole placement. The report submitted by the CMC specified the offence or offences that an offender had been sentenced for, the judgment merits, remarks made by the court and the description of the offence under SAPS62. The CMC report also specified any previous criminal record, the correctional sentence plan and relevant progress reports. There should be evidence of educational, correctional, psychological, social services, spiritual care and any skills development programme interventions undertaken. The report also included all disciplinary records, a report on restorative justice interventions or victim offender mediation. The physical and mental state of the prisoner, and the prisoner’s likelihood of relapsing into crime, was also stated in the CMC report. More importantly, the risk that the offender posed to the community, and the manageability of the risk, had to be mentioned in the report. Mr Smalberger said the report from SAPS and the DoJ indicated the prevalence of crime in general, as well as the prevalence rates of identical and related crimes. The report also indicated the impact that the release of the offender might have on crime in the area of settlement, as well as the community’s stability. The report also indicated any specific recommendations regarding conditions. Victims of the crime which the offender had committed also made an input in the parole placement process. The inputs could be presented orally, in writing, or by audio visual submissions. The submissions indicated the impact the crime had had on the victim, any statement of opposition, as well as recommendation for placement conditions. When an offender was recommended for parole by the CMC, he or she was allowed an opportunity to make oral or written submissions to the parole board on the recommendations. This was also an opportunity to respond to any other inputs submitted to the Parole Board by the complainant and SAPS. Mr Smalberger said legislation, particularly section 276 A (3) of the Criminal Procedure Act, provided for the conversion of a sentence of imprisonment into correctional supervision. The National Commissioner or Parole Board, if of the opinion that an offender was fit to be subjected to correctional supervision, might apply to the clerk or registrar of the court to have an offender appear before the court in order to reconsider the said sentence. When making a decision, the CSPB based the decision to place an offender on parole on all submissions made to the Board. The CSPB should also take into account specific directives issued by the National Commissioner, as well as decisions taken by the review board for guidance. The purposes of imprisonment and the principles that guided parole placement should also be taken into consideration. The main principle for parole consideration was that the protection of the community in the short term should be fundamental – in other words, the release of an offender should not have an immediate negative influence on the community. The CSPB should also consider if the offender would be manageable in the community. The long term protection of the community should be addressed by means of reducing the risk of re-offending, by having identified the offending behaviour and addressed it sufficiently. For reintegration to be successful, parole placement should be supervised, as it also contributed to protection of the community in the long run. Parole placement conditions should be appropriate and proportional to facilitate the protection of the community and ensuring the offender reintegrated into society. The placement conditions for parole varied between offenders and the different sentence categories. Offenders could be placed under house detention or could be doing community service in order to facilitate restoration of the relationship between the offenders and the community. Other placement conditions were taking part in treatment as well as development and support programmes, participation in mediation between the victim and offender or family in group conferencing, refraining from the use of drugs or alcohol, and committing a criminal offence. There might also be restrictions on movements or visiting certain places. The offender might also be prevented from making contact with certain individuals or threatening a particular person by word or action. Other offenders might be placed on parole on condition of being subject to monitoring or electronic monitoring. An offender might also be placed on medical parole. Medical parole was provided for under section 79 of the Amended Act and any person could apply for it. It was the placement of an offender into the system of community corrections on medical grounds. The offender could be terminally ill or be physically incapacitated as a result of injury, disease or illness so as to severely limit his or her daily activity or self-care. Medical parole did not have a minimum detention period. Heads of correctional centres could make decisions on medical parole applications, where offenders could serve a sentence of up to 24 months. Where an offender was serving a determinate sentence of longer than 24 months, the CSPB decided on parole applications. The Minister decided parole placement for offenders who were serving life sentences. Mr Smalberger said prior to the amendment of the Act, there had been no Medical Parole Advisory Board (MPAB). The MPAB was composed of an appointed team of ten independent medical practitioners registered under the Health Professions Act 56 of 1974. The medical practitioners provided independent medical reports to the National Commissioner, the CSPB or the Minister, as the case might be. The amended Correctional Services Regulation Act of 2004 provided for medical parole processes and stipulated the medical conditions which the CSPB should consider before making findings and recommendations. Mr Smalberger said any offender incarcerated up to 24 months was referred to as a Short Term Offender (STOs). Most STOs received sentences of up to six months, and as such it was difficult to render parole placement services to STOs. This was because the offenders did not spend sufficient time incarcerated to be exposed to the services and programmes currently rendered to offenders. Most STOs were sentenced for economic crimes and the highest number of STOs was found in the Western Cape. The lowest number of STOs were found in the Free State and Northern Cape. In terms of gender, there were more male STOs than female STOs. A statistical analysis of re-offending figures in 2011 showed that STOs were more likely to re-offend than offenders with longer prison sentences. This could be attributed to the lack of rehabilitation programmes specifically designed for STOs. Furthermore, the Department was not able to comprehensively assess STOs or provide a correctional sentence plan for STOs at the moment. However, STOs received services such as health care, psychological and social work services when needed, spiritual care services and some other rehabilitation programmes. The Department was experiencing challenges in delivering services to this category of offenders in terms of length of stay, as it was usually too short, particularly where the sentence had an option of a fine. Also, there were not enough resources or facilities to enable the Department to deliver services and continue programmes in community correctional supervision. Mr Smallberger said there were several options available for the management of STOs, such as the conversion of sentence to community correctional supervision or the release on parole and transfers between correctional centres. Instead of custodial sentences, STOs could also be monitored electronically. The Department also had the option of enhancing community correctional supervision so that it could be better utilised as an appropriate sentence for less serious crimes. It could timeously place cases for consideration for parole before the CSPBs. In addition, the DCS would require dedicated staff to carry out the task of confirming addresses before referring parole placement to parole boards or courts. This was a time-consuming task and addressing the needs of STOs would require a programme focus. An action plan had been endorsed by the Acting National Commissioner to develop and consult a concept paper on services to STOs. There was a plan to amend legislation, and review and amend rehabilitation policies. The Department was also planning on developing programmes, services and instruments. Human resource needs would be reviewed, a financial programme would be developed and an interdepartmental task team would be established. All strategies would be implemented effectively in order to deal with overcrowding in prisons. All parole decisions were subject to review, as provided in section 75 (8) of the Correctional Services Act 111 of 1998. A parole Review Board consisted of some members from the National Council for Correctional Services mandated to review parole decisions. A parole board decision was final and could be referred to the Review Board by the Minister, inspecting judge or the National Commissioner. Practically anybody, including an offender, based on motivated grounds, could request the Minister, inspecting judge or the National Commissioner to refer a parole placement decision to the Review Board. Upon reviewing the parole decision, the Review Board might confirm the decision of a parole Board or might substitute the decision with any other decision which the parole board might have made. Mr Smalberger added that challenges experienced by the Department were similar to challenges faced by correctional services in other countries. For instance, most communities were reluctant to accept offenders back into their midst for fear of a rise in crime and the stigmatisation of offenders. Communities did not understand nor accept their roles and responsibility in reintegrating offenders back in society. Difficult socio-economic circumstances made it difficult for offenders to obtain employment, which might affect their reintegration. Another challenge was that foreigners incarcerated in South African prisons could not be placed in correctional supervision in terms of section 276(1) (i) of the Criminal Procedures Act. This was because when foreigners were released in communities in their home country, the Department would be unable to supervise the offenders, and this contributed to overcrowding. Overcrowding was worsened further by limited resources, which prevented the Department from rendering programmes or interventions to offenders. In addition, offenders were usually reluctant to take personal responsibility for their rehabilitation. It was difficult to reconcile the expectation of victims of crime and their families who often wished to see the offender incarcerated for much longer, while the offenders and their families wished for a lesser sentence. Ms Pumla Mathibela, Chief Deputy Commissioner: Community Corrections, DCS, said the Department had embarked on several reintegration systems with various purposes. The first intervention was the launch of a halfway house in February 2012. The purpose of the programme was to assist in the reintegration of offenders, particularly parolees, probationers without addresses which could be monitored, or support systems. Halfway houses assisted the Department to minimise the chances of re-offending and overcrowding in the correctional centres. The implementation of halfway houses had assisted the Department to trace the families of offenders and uniting them to improve community mobilisation. Since inception of the programme six Halfway houses were established through partnerships with Non-Profit Organisation in the Western Cape and Gauteng. A total of 81 parolees had so far been reintegrated with their families in the 2014/2015 financial year. During the offender’s stay in the halfway house parolees were equipped with different skills and education for possible job opportunities. Some parolees (27) had been employed through halfway houses. The DCS had also entered into partnerships with relevant stakeholders to enhance the employability of offenders and to reduce re-offending. It had entered into partnerships with the Fire Fighting Association, the Moghaka Development Agency and the Helen Joseph Hospital, for employability of offenders. In the 2014/2015 financial year, 79 parolees had been employed though such partnerships. Other partnerships, such as New Life After Prison, provided starter packs that included sewing, welding and car wash machines. A total of 65 starter packs had been handed to parolees and probationers to be entrepreneurs. Other partnerships were with the National Youth Development Agency and the Moghaka Development Agency, which promoted skills in construction. Another reintegration system embarked on was Restorative Justice (RJ), which had been adopted since 2001. Restorative Justice was a process which allowed a platform for forgiveness between the offender and the victim. Implementation of RJ would result in the smooth and successful reintegration of the offender into the community, as relationships between the two parties would be amended. The approach also sought to address offences committed and assist offenders to take accountability for offences. Relationships with victims might be restored through victim-offender mediation dialogue which had led to more public involvement, and communities and offenders were given an opportunity to talk publicly about the impact of crime as a means of encouraging collective solutions to crime. Ms Mathibela said progress had been made with the RJ intervention, although the involvement of victims had been a challenge throughout the years. This was mostly because the whereabouts of victims were unknown to the Department and those who were known were not willing to take part. For the 2014/2015 financial year, out of the 23 921 offenders who were eligible for parole, at least 2 023 victims had participated in RJ programmes. Some of the programmes involved making presentations to parole boards when offenders were being considered for placement. The parole system was another reintegration approach, where offenders on parole were given conditions which were exercised during their period on parole. During this period, the Department would be in control until the expiry of sentence, and the parolee was not allowed to change their residential address or employer without prior approval, and might not commit an offence. All parolees were classified into supervision categories of high, medium and low risk in order to determine the degree of strictness of the conditions to which the parolee would be subjected. An offender who contravened parole conditions could be issued with an oral warning, or a written warning with an indication of the steps which would be taken if conditions were to be contravened again. Family members and the employer of a parolee could also be asked to assist with supervision of the parolee. Parole for the remaining part of the parole period could also be revoked. There were 228 fully-fledged community corrections offices nationally to ensure that the system of community corrections was more accessible for parolees and probationers. Various satellite offices were being established to enhance accessibility. The Department also carried out monitoring of parolees, such as physical monitoring, office consultation and the electronic monitoring of offenders under the system of community corrections. Ms Mathibela said intervention services were included to identify the potential risk offenders might pose to society, and to allocate community service institutions and programmes. Overall, the parole system was making significant progress as there was a high compliance rate. Mr S Swart (ACDP) commended the Department for using Restorative Justice as one of the approaches in the reintegration system, as it was something he had always been supportive of. He asked why out of the 24 000-odd offenders eligible for parole, only 2 000 had taken part in the Restorative Justice programme. Were there any statistics available for parolees who re-offended? He asked the Department to shed more light on the contentious issue of medical parole, particularly if it would comment on the Schabir Shaik situation. He also asked why the court had to intervene in the Clive Derby-Lewis case. Ms G Breytenbach (DA) asked for an update on electronic monitoring devices. She was not a supporter of Clive Derby-Lewis, but why had his case been treated differently? Mr Derby-Lewis had been sentenced in 1993, and was eligible for parole, so why had he not been considered for parole placement. Ms M Mothapo (ANC) said the DCS had many good programmes but unfortunately communities were not aware of the programmes. There should be a way to raise awareness about them. Prisons were now known as correctional centres, so the skills development of offenders was also important. She was concerned with the composition of the Medical Parole Advisory Boards, and said they should not be filled with doctors who practised only Western medicine. Traditional health practitioners should also be on the boards. During a site visit, the Committee had come across an offender who was “possessed,” and might have needed a traditional health practitioner. It was important to have all types of health practitioners on the Medical Parole Advisory Boards so that offenders who might suffer from illnesses which were not acknowledged by Western medicine could also be considered for medical parole. Mr M Maila (ANC) said offender rehabilitation was a societal matter, but there was a challenge in that communities were reluctant to accept offenders into communities. He asked if the Department had any partnerships to ensure the reintegration system was effective. Mr M Mpumlwana was of the view that families of victims and families of offenders should be involved in the parole placement process as early as possible and not just at a time of parole. He was concerned that technical skills were mostly offered to offenders in big cities such as Johannesburg, Durban and Port Elizabeth, while in rural areas parolees worked in gardens and bakeries. He wondered why this was the case and asked the Department to improve on this. In terms of information communication technology (ICT) some correctional centres, like in Mthatha, were not connected to the database of the DCS. He asked if electronic tagging was used for offenders serving life sentences only. Had the problem regarding psychologists and social workers been resolved? If the problem had not been resolved then some offenders would be denied the opportunity to be considered for parole. Although the question was not related to the presentation, he asked if the inconsistency in the contracts of employees had been resolved, and what was the determining factor for the salary of employees, especially at the lower levels. Mr W Horn (DA) asked for progress on the amendment of legislation and an indication of how the Committee could possibly assist. Mr Zacharia Modise, Acting National Commissioner, DCS responded that it was true that the performance of Restorative Justice was not at the level it should be. The main challenge with the programme was the reluctance of communities to take part in the programme. However on the whole the approach was taking off and other departments such as SAPS and the Ministry of Justice should also be involved in the programme. He was positive the programme would be productive. In terms of research on re-offending, research had been undertaken to determine which categories of crimes could be classified as re-offending. For instance, if an offender was released and committed another crime which was different from the crime he had been sentenced for, would that be classified as re-offending, or would it be a new crime statistic? Regarding the case of Schabir Shaik, he said that the Department had received the decision of the court and it was in the office of Minister Masutha. The Minister had been out of the country last week, but was back now and the decision of the court was being looked at. He would not want to comment on the issue right now as there were specific actions the judge indicated needed to be done, as was in the order of the court. Mr Modise said that an investigation into tagging had been carried out and had been completed. A report was now with Minister Masutha, and it was hoped that a decision would be taken soon as to what needed to be done. In terms of the Department’s communication strategy, there was an indication as to how communities should be involved. In most cases when a person committed a crime, victims would prefer the person to be locked away for good. He added that community participation in the Department’s programmes was affected by the media’s sensationalism. Short term offenders were approached differently as it was believed that they did not cause a serious threat to society. The DCS was looking at programmes which could be put in place to address this group of offenders. Another thing to consider was that programmes were not compulsory, which was a challenge. Ms Mathibela said that when Restorative Justice had been introduced, 1 750 victims had been reached. Last year the target was 2 000, but the Department had managed to reach 2 024 victims. The current target for Restorative Justice was 6 000 and the Department was working in partnership with SAPS and the Department of Justice and other stakeholders. In terms of automation, the Department still had a long way to go and research was under way. In terms of statistics on re-offending, information was not available, as mostly there was information about the crimes people had been arrested for. When piloting, electronic tagging had been used on “lifers” only and it was up to the parole boards to decide who should be tagged. Ms Veliswa Kokong, Deputy Commissioner: Social Reintegration, DCS said the Department had signed memorandums of understanding with several stakeholders in the sector. It was also partnering with various NGOs and faith-based organisations working on Restorative Justice programmes. It had also formed partnerships with businesses which were willing to employ parolees. Mr Smalberger said the numbers of parolees participating in Restorative Justice were low, as the number mentioned was for those offenders actually taking part in the discussions. Audio visual systems were being installed, which would make it easier for victims to participate in discussions -- for instance, victims would not have to travel to take part in discussions if they were far from the correctional centres. This would increase victim involvement in the parole process. In the case of Schabir Shaik, he would have been released in terms of the previous Act, which had been amended in 2011. The amendment of the Act had changed the medical parole process. Before the amendment, there had been no Medical Parole Advisory Board. The process required two to three medical practitioners to provide information and make a recommendation on the offender, and a decision would be taken to grant medical parole or not. From lessons learned with the previous procedure, the Act had been amended and now a board consisting of ten medical practitioners provided information on the offender. Mr Smalberger said the Department had noted Ms Mathopo’s suggestion to include other medical practitioners on the Medical Parole Advisory Board, but this would require an amendment to the Act. With regard to medical parole versus parole, Mr Smalberger said this was guided by specific sections in the Act and certain conditions had to be fulfilled before any form of parole was granted. However, in the case of Mr Shaik, there had not been such a request per se, nor did the Act make provision for a change from medical parole to parole. The Act prescribed to the Commissioner of Corrections and the parole board on how to review the conditions set for a specific parole. If the offender complied with all the conditions during reviews, then it might be found that the conditions became light, but if the offender did not comply, the conditions for parole could become even stricter. In the case of Mr Derby-Lewis, the parole matter was on previous occasions considered by the former ministers in that portfolio. On numerous occasions, the family had gone to court and the court had upheld the Minister's decision. Information had been provided to the Minister on Friday last week, and was being currently considered. He said it would be safe to say the information placed before the Minister in January had been convincing for the Minister to have taken the decision he had. He added there had been a judgment for Mr Derby-Lewis to be granted medical parole. He could not go into the merits or demerits of the case. Mr Smalberger said it was easier to provide technical skills in urban areas than in rural areas and it was not easy to transfer these to some rural areas. He agreed that some areas in the Eastern Cape were challenged in terms of ICT. The IT personnel were working to improve the situation. In relation to psychologists, the Department had employed a director, and two deputies had also been appointed at the national office. There were currently 27 vacancies for psychologists, and 24 community workers posts had been filled. Currently there were no psychologists permanently attached to a correctional centre -- psychologists either went where they were needed or an offender was transferred to where the psychologist was. Mr Modise responded that it was correct that the current shift system in operation posed a challenge, particularly in terms of security. The DCS was holding discussions with the Department of Public Service and Administration to employ 60 000 employees. Discussions were also being held on whether the two by 12-hour shifts was the only arrangement that could be utilised. The Department could also use a system where everyone who was supposed to work would be at work from Monday to Friday, but then there would be a challenge over the weekend. Offenders took advantage of the system to do bad things when there was inadequate staff on duty. Ms M Pilane-Majeke (ANC) said perhaps the Department could look at the issue of employees who were on suspension. It could also look at the autonomy of the policy and the impact it was having on challenges faced by the Department, and how best to move forward. On the issue of communicating with the public, the Chairperson said the Department could make use of Parliamentary constituency offices, which were supposed to provide information. The Department could print pamphlets and make them available to members to distribute in their constituencies to help disseminate information. Halfway houses were a good idea, but having one in Naturena would make more sense if there was a big population in the area. He also said that when forming partnerships, some NGOs were small but were essentially just ways for individuals to create information for themselves. Inter-faith organisations and other well established NGOs such as the National Institute for Crime Prevention and Re-integration of Offenders (NICRO) would more effective partners, as they had footprints all over the country. Civil society should be mobilised to help raise awareness about the Department’s programmes. The issue of traditional health practitioners should be seriously considered because some people who were possessed by spirits would not be treated fairly by psychologists and psychiatrists trained in western medicine, who would not believe in the existence of spirits. The Department should consult with the Traditional Health Council to work on a way forward. The Chairperson added that sometimes people were good at quoting leaders, but did not do as they advised. President Zuma had said he expected all Ministers and government officials to do something radically different, and pay attention to human reconstruction and development. He had also said problems of drugs and alcohol abuse should be isolated, as many parents were not able to handle the problem. The focus should be on the youthful inmates in terms of what could be done radically to transform them. Most people had been critical of the apartheid system, where prisoners were sold to farms and worked for free. However, perhaps the Department could partner with the Department of Agriculture to provide the DCS with agricultural inputs so that some offenders could be working on farms again. He therefore suggested that the President had given a solution and it was up to the Department to come up with radical ideas for human reconstruction programmes which should be made available to the Committee. Ms Mathopo asked how the Department made use of day parole, as it had been talked about during the presentation. Mr Mpumlwana said during one of the oversight visits, Members had seen inmates making good quality products. What were the chances of selling these products and creating a fund so that when they were released, prisoners would have money to help with reintegration. Mr Modise responded that the Department had held discussions with Treasury to create such a fund, but the request had been denied. Treasury had said the labour cost of offenders was very low and it would be unfair competition for the labour market if the Department created a trading entity. The Chairperson said the creation of a trading entity should not create conflict. Products from correctional centres were of high quality and offenders should continue producing them. The Chairperson said the work by the DCS had been very convincing, but the Committee would have to discuss the Department’s action plans further. Mr Mpumlwana said the Committee was not fighting the Department but was working together with it to improve things. The Chairperson said there were some written questions which would be forwarded to the Department.